Perzina has been making pianos since 1871. 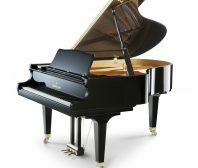 What makes Perzina pianos special? The tone and action of Perzina pianos are comparable to either “group 1” or “group 2” rated pianos listed in the Larry Fine Piano Book. Groups 1 and 2 pianos include Fazioli, Bosendorfer, Steinway, Bluthner, Bechstein, Schimmel, Seiler, and Sauter. Perzina pianos are made with 90% European components, or ESQ (European Standard Quality) to produce quality tone and touch. For vertical pianos, Perzina has patented a “floating” soundboard-plate design with the unique “concave” reverse-crown soundboard. 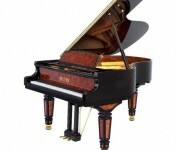 These innovations allow Perzina vertical pianos to truly play and sound like a grand piano. As you make comparisons between piano brands, don’t forget to check out the Perzina pianos! At Roger’s Piano, we carry a variety of new and preowned Perzina pianos for sale in our showroom in Natick, MA. Contact us today at 508-545-0766 for more information or to schedule an appointment for a private showing.